During the eleven-week summer camp program, students will be exposed to a specially designed curriculum in both English and Mathematics. The curriculum will be implemented by an academic support team that will focus on engagement and the Common Core foundation skills. 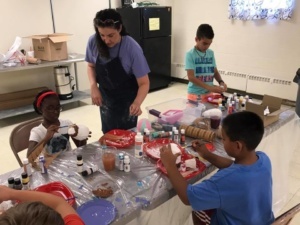 The idea is to reinforce and extend these skills through the summer months, giving students a head start when they return to school in the fall. Working with their selected reading children will complete mini lessons, guided by their teacher, aimed at strengthening each child’s reading level and text complexity. These selected readings link to our weekly themes, so that kids are exposed to many different types of fun stories and even text. Children will also use their selected reading to reinforce and extend foundation skills in determining key ideas, themes, details, and structure, as well as phonics and word recognition. 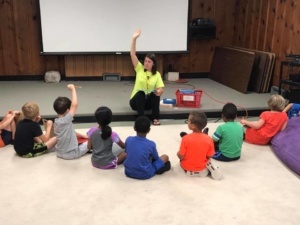 The math enrichment program will include a skills-based reinforcement of numbers and operations, measurement and data, algebraic thinking and geometry. 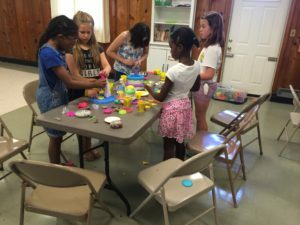 The focus of the program is to engage campers in a fun and captivating way to strengthen these skills over the summer months. 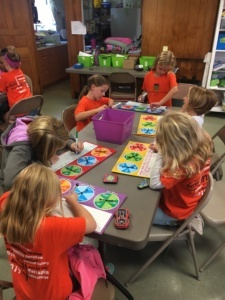 These lessons will be delivered in a variety of formats that included grade-level based small group math games like Buzz, Splat!, Multiplication Bingo, and Sums in Space. Campers will also use an online gaming experience called Dream Box on iPads. 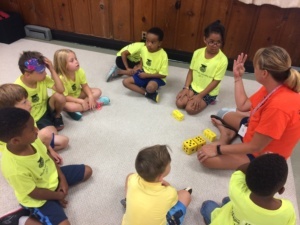 As campers play, the game adapts to each student based on their performance, then personalizes their learning. If students are having difficulties with any skill, a math specialist is onsite to work with the group. It is also important to understand that there will be no new learning occurring. All concepts and skills will be based on what the child has already learned during the previous school year. This way our educators can strengthen and support skills, while also filling in learning gaps all students have. Lessons will be delivered in an engaging and fun way, to create a culture conducive to positive learning and not placing undo pressure on them. Learning activities are delivered in short concise 25 minute lessons for up to five days a week. Our goal is to engage students in a lesson they find interesting and fun in order to strengthen and extend their reading and math skills. 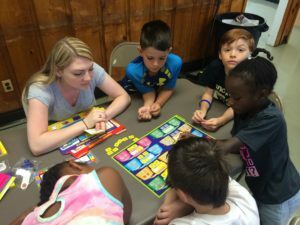 To give families freedom and flexibility with their complicated summer schedules, the entire curriculum will be structured in a stand-alone format for each particular week; therefore, what the reading and math program covered last week has no direct connection to the skills covered the next week. So missing a day, or a week for vacation, will not impact their learning experience. When they return to camp they can pick up right where they had left off. Additionally, it also allows the ability for students to enter the program at any point throughout the summer. student is having trouble with a specific skill, our team can give this student additional support where they may have fallen behind or are struggling. With small group sizes, maximum group sizes of 11 and a maximum of 3 groups per week, teachers can work 1:1 with student’s needs. Something comprehensive schools simply cannot offer. Our program never goes over 32 campers. 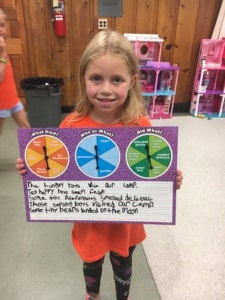 One of the major difference between a regular summer camp and Active Minds Learning Camp is structure. Many of the large camps can often be extremely chaotic. This is due to a lack of structure in their schedule. 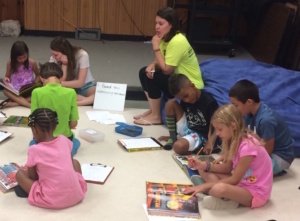 Unlike these large camps, Active Minds Learning Camp is run by actual experienced educators. As an educator the first thing you learn is how to structure activities that will maximize engagement and minimize downtime. For example, at other large camps kids, are simply given a few activity options they can choose and are let loose at them for up to an hour or until kids no longer want to play. When kids begin to lose interest this is when things can start to get out of hand, whether you are in the classroom or at camp. Kids have short attention spans, when they are not engaged they lose interest quickly. This is when things can become chaotic and often leads to behavior issues at the larger camps. 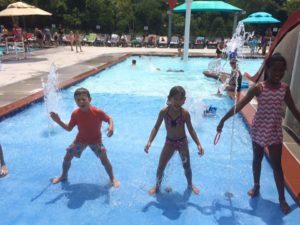 At Active Minds we have created an effective way to engage kids and minimize any downtime, creating both a calm and fun camp experience. To do this we place kids into small groups of 5-6. Each group is given options on different activities they may be interested in doing. Each group will choose 5 activities. Active Minds educators then create a matrix on the board that will allow all groups to cycle through each activity they picked. Every 20 to 25 minutes groups will switch, keeping kids engaged continuously and without downtime. Thus, creating a fun and calm experience for our campers.